In Ireland, the government has taken steps to try to ensure businesses are Brexit ready. UK BUSINESSES HAVE run out of time to prepare for the consequences of Britain leaving the European Union in March without an exit deal, a British government audit showed today. The findings by the National Audit Office, the government’s spending watchdog, were published with London and Brussels at loggerheads in Brexit negotiations. 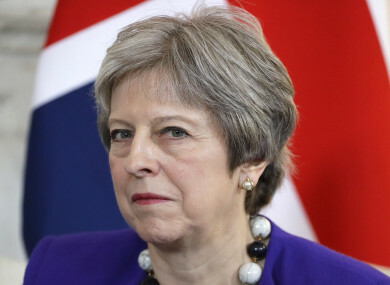 The audit found that uncertainty over the course of the negotiations has delayed preparations for a no-deal scenario for business and the government alike, and that for many, time has run out. “Businesses do not have enough time to make the changes that will be needed if the UK leaves the EU without a ‘deal’,” the report said. It estimated that between 145,000 and 250,000 traders will need to make customs declarations for the first time should Britain break away without coming to terms with the EU. “Government papers from July 2018 stated that it was already too late to ensure that all traders were properly prepared for ‘no deal’,” the report wrote. The audit also found that 11 out of 12 government projects to replace or upgrade existing border systems to prepare for more rigorous customs checks were — as of September — at risk of not being delivered on time to “acceptable quantity”. In Ireland, the government here has taken steps to get the country Brexit ready with a series of roadshows featuring all relevant State agencies to inform businesses of what they need to know with Brexit looming. Sky News reporter Faisal Islam attended a recent roadshow in Galway, and said there is “nothing like this in the UK” for its businesses to get Brexit-ready. Newsworthy interview with @simoncoveney incoming on Sky News.. till then in Galway, Ireland’s extraordinary business preparedness roadshow involving €5000 grants, advice, €100 millions subsidised loans for Brexit affected business. The next roadshow is set to take place in Dublin’s convention centre tomorrow. The Financial Times reported yesterday that the British government, realising the potential chaos, was drawing up plans to charter ships to bring in food and medicine in case there was no deal. The newspaper said a meeting of May’s cabinet yesterday was told that a heavily used trade route between the British port of Dover and the French one in Calais would quickly become blocked if no customs arrangements were made. Britain would then ferry in “critical supplies” and possibly also car parts. Email “UK government audit tells businesses they've run out of time to prepare for no-deal Brexit”. Feedback on “UK government audit tells businesses they've run out of time to prepare for no-deal Brexit”.